1. When using a wiper to remove the dust on the surface of the windshield during sunny days, be sure to spray glass water and do not dry it. 2. There are other stubborn and hard dirt on the glass that should be cleaned by hand. These things are very easy to hurt the wiper blade, causing the wiper to be dirty. In severe cases, the wiper motor can also be affected. 3. When the car wash and daily cleaning need to lift the wiper blade, it is necessary to hold the â€œbackâ€ of the wiper blade and gently return it when it is released. Do not bounce the wiper blade back. 4. When using in winter, you should use ice shovel to clear the hail on the surface of the windshield so as not to increase the burden of the wiper. When heavy rain obscures the line of sight, the consequences can be imagined without a dutiful wiper scraping off the unpleasant rain. At this time, you realize that there is a pair of "healthy" wipers that are too late. 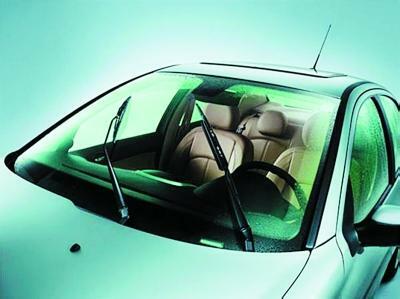 In order to completely protect traffic safety, you can't be lazy with the maintenance of the wiper. To clean the wiper properly: especially sand, it is the culprit for wiper wear. If you do not pay attention to cleaning, it will cause increased wear and tear of the wiper. Avoid high-temperature exposure as much as possible: The strong summer heat will test the rubber material of the wiper, which will cause deformation or loss of elasticity in the long term. YK Oscillating Granulator (model: YK) is the process of making granule from wet material or dry material. It can be inline or operated as a single machine. The material is fed from the top hopper. The oscillating roller crushes the dry lump and breaks them down into small grain or powder, which is passed through sieve hole. It also can extrude wet material into regular size granule via sieve hole by oscillating roller. It can be widely used in Pharmaceutical Industry, Foodstuff Industry, Chemical Industry, etc. CHANGZHOU SULI DRYING EQUIPMENT CO.,LTD.specializing in the production of Mixing Dryer, Spray Dryer, Granulation Dryer, Crushing Dryer, 3D Motion Mixer and V-shaped Mixer.